In today’s age of mobile devices, your both site’s mobile traffic and optimizing your mobile site are of increasing value. Desktop users are no longer the only important population online because the way people use the web is diversifying, particularly in today’s digital age. With these factors in mind, it is important to know what percentage of your site’s traffic is coming from mobile users; since mobile devices are of increasing use and popularity, these views are a highly relevant factor in measuring the success of your SEO efforts. You can determine this in Google Analytics by going to Audience > Mobile > Overview. 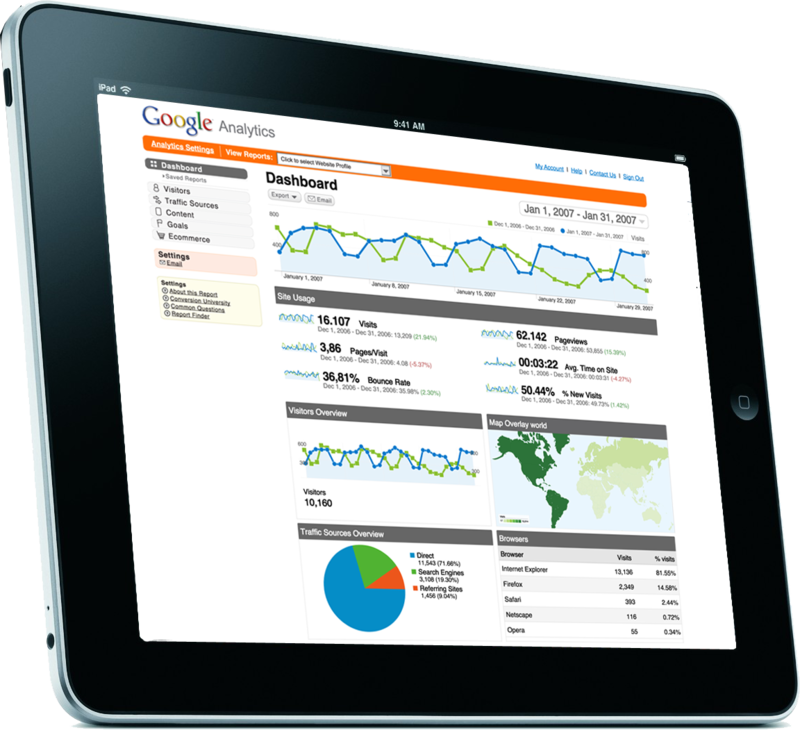 This page will give you detailed information about your mobile, desktop, and tablet traffic. If a high percentage of your traffic is coming from mobile or tablet, or these numbers are increases, take extra care to optimize your mobile site. Google Analytics’ goals feature is a great way to set up specific goals for your SEO campaign and monitor the progress of these goals. Potential goals include tracking how many people filled out a particular form, how many signed up for your email newsletter, and more. You can go deeper with the goals feature by going to “Goal Flow” and generating a report that divides your traffic info organic and paid SEO. This will provide you with a specific picture of how many of your conversions and other goals are a result of your organic SEO efforts. This detailed analysis can help you make more informed decisions when deciding upon the future SEO tactics that you will use. Link building is vital to any SEO campaign. The best kind of links will be from other sites that are at least somewhat relevant to your field. Usually, a range of 1 – 4 new links per month is good progress. This is of importance because search engines use links to analyze the popularity, trustworthiness, and authority of websites. In point of fact, trustworthy sites typically link to other trustworthy sites, and likewise, spam websites tend to link to websites of lower quality. If your site is being linked from trustworthy sites, and this number is consistently growing, then you are definitely doing something right with your SEO efforts. Conversely, if this is not the case for your website, take some time to cultivate relationships with websites that are authorities in your field: consider offering to do a guest blog posts or offer to link to their a site first. Ideally, steps like these will encourage them to link back to you and help boost your link building profile. Our project is led by true web veterans who have dealt with the industry of creating and promoting sites over the last couple of decades. Not only do we enjoy delivering great results in growing our clients' online presence, but we love sharing our experience with everyone.